Highland is the leader in cargo management and vehicle protection products, dedicated to helping motorists safely load, anchor, secure, tow, carry, trailer and organize cargo. From Highland's aluminum ramps and cargo organizers to fat strap bungees and cargo securing products, Highland products are manufactured to quality standards designed to exceed every expectation. 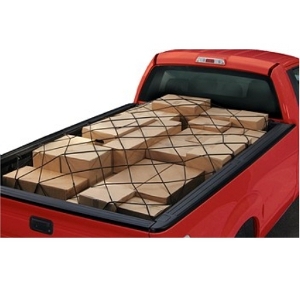 Highland Cargo Nets safely secure cargo. These nets hold up under extreme weather conditions. HIGHLAND stake pocket anchor points are designed to ensure a safe and secure tie down attachment point. No drilling required for easy and fast installation.